Places to Visit in Chicago - M&M Limousine Services, Inc.
Chicago winters are notoriously brutal. However, this makes the spring, summer, and fall all the more sweet, as Chicagoans appreciate the fact that the snow and bitter cold have passed. Now that the weather is finally clearing up, it’s time to go see the sights! Though it can be great to walk around Chicago, when you really want to see and do as much as you can in a day, hiring a limo is a smart move. You can plan out your day so you have reliable, seamless transportation from one destination to the next. With so many incredible places to visit around Chicago, it’s hard to narrow it down to just a handful to visit! Anyway, here are a just a few of our favorite spots around town. Enhance your experience of all these great places by getting there in a limo! This ballpark is legendary for many reasons: the iconic ivy covering the outfield walls, the “Bleacher Bums” rooting for the Cubbies, and all the incredible stories that have accumulated after more than a century of baseball games. 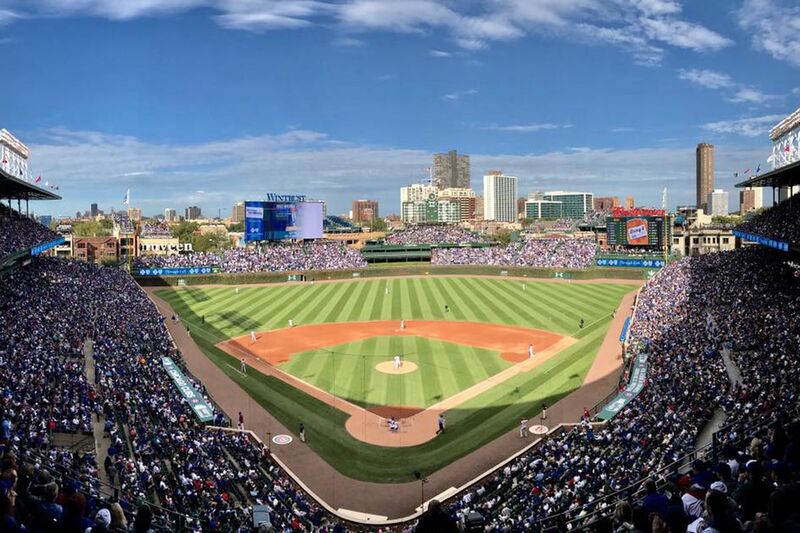 Whether you want to catch an iconic Cubs day game or tour the field, clubhouses, dugouts and more on an off-day, you’ll surely enjoy taking in all the history and beauty Wrigley Field has to offer. Chicago is known for some of the best museums in the world, and the Art Institute is arguably Chicago’s greatest museum, so that’s really saying something. With an affordable admission rate and enough art to keep you marveling for the better part of a day, you owe it to yourself to make a stop here. Aficionados and novices alike can enjoy the vast array of art on display, encompassing a diverse range of eras, styles, and media. Famous works you can view at the Art Institute include “American Gothic” and “Nighthawks,” as well as paintings by Pablo Picasso and Vincent Van Gogh. 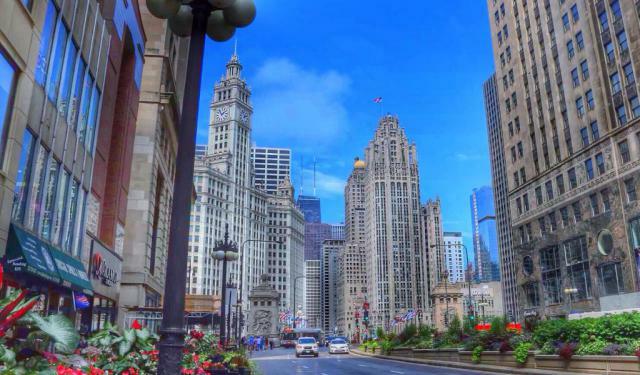 Though there are plenty of picturesque streets around the city, we certainly feel that this stretch of Michigan Avenue in downtown Chicago is aptly named. With abundant shopping, luxury hotels, fine dining, and amazing architecture all around, it’s hard not to be awed. Though the “Mag Mile” actually clocks in at about ¾ of a mile, you’d never know it, given the number of places to see. Ready to wind down after an exciting day of taking in the sights? 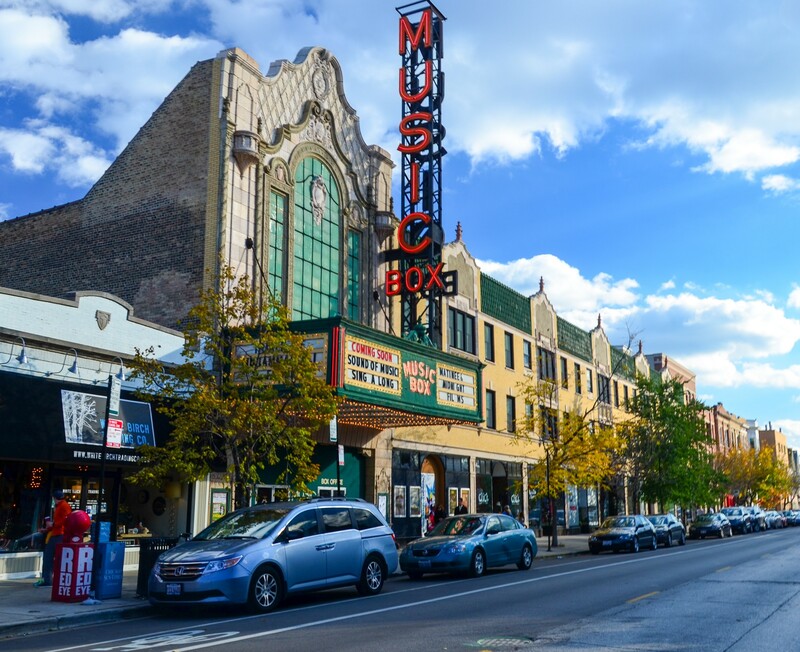 The Music Box, located in Lakeview, is a great spot to take a load off for a couple hours. An old movie house opened in 1929, the Music Box was designed to mimic the grand movie palaces of the day but on a smaller scale. During weekend intermissions, an organist plays, giving the theater a unique, old-time feel. You can take in limited-release indie films, documentaries, cult classics, and other movies here. If you’re lucky, you may even catch a screening with a famous actor or director present to discuss their work! Ready to plan out an action-packed day in Chicago? Request a quote from M&M Limo! One of our professional drivers can take you around the city, making sure you hit all your planned stops in style and comfort.